Discovery of the lost treasured words of Metropolitan Philaret. Recently, a cassette found its way into the hands of a faithful member of the former true ROCOR and admirer of Met.Philaret, containing the sermons of this remarkable and memorable prelate. After listening to its contents and comparing them to the text in the books titled "Sermons and teachings of the Most Eminent Metropolitan Philaret (Voznesensky)" - published in 1989 - a significant disparity was discovered between the words that were actually articulated by Met.Philaret from the pulpit, and those printed in the books. This disparity can be found in the 2nd tome on page 82, which deals with the sermon on "Love your enemy". As it happened, the significant section uttered by the prelate was mercilessly excised from the book by the editor. The editor of this book was Bishop Hilarion, current Archbishop of Australia and New Zealand! We now request our God-loving readers to familiarize themselves with the segment, which fell under Bhp.Hilarion's censorship. The text of this spiritual pearl of enormous significance, which was denied to the Orthodox faithful by the imprudent hand of the erudite Orthodox bishop, can be found after the third paragraph in the book with the concluding submission: "With regard to the current comments uttered by those "intellectual" individuals, I must say that it is not the Church that has lagged behind the times, but it is they that have fled to who knows where!" "To what lengths of lunacy has contemporary mankind gone to! It is not difficult to arrive at this conclusion, if one observes what is transpiring in the world. Recently, there was a press report stating that the organization of the so-called World Council of Churches - which includes nearly all Christian denominations and Orthodox Churches, except one i.e. ROCA - has accepted as a full member, a new religious order that serves satan! Satanism has been embraced by the World Council of Churches! Consequently, this means that the ill-fated person, which heads this frightening and ungodly teaching - Satanism, will be seated at the same table with representatives of Christian faiths, perhaps assisting in the formulation of ecumenical communion and services that will not displease anyone! This means that the WCC has secured a new brother-in-arms, a new colleague - the leader of this insane Satanism. Incidentally, in passing, and as I stated before, nearly all Orthodox Churches have joined the World Council of Churches, the most recent being the partial entry of the American Red Sovietonomous Church, which has now existed for a number of years. All these developments beg the question - where to now? This is to what extent of madness that humanity has reached! Yet they yell that the Church cannot keep up with them. But keep up with what? I reiterate - it's not the Church that has lagged behind the times, but these people that have created their new lifestyle. They are the ones that have fled from the Church to who knows where, and their demise will be frightening!" 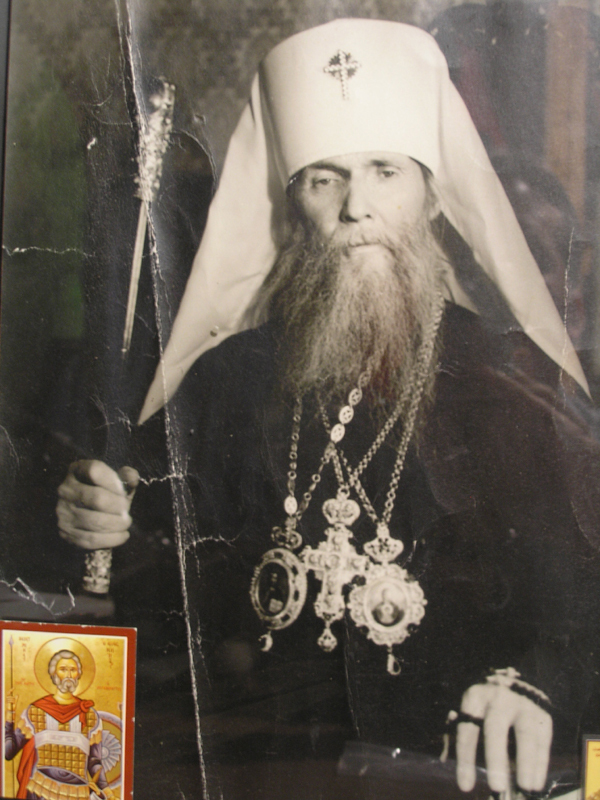 In a later content of the book, Met.Philaret warns: "But we, brothers, must watch ourselves...."
In conclusion, Archbishop Hilarion's action invariably begs the question: "Why did he delete this priceless gem from Metropolitan Philaret's collection of sermons?"